CitiDental (Boston) - Book Appointment Online! 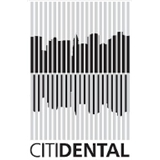 Welcome to CITIDental Boston. We have assembled the finest group of dental professionals in Boston to provide the best patient care. Our dentists and entire staff of dental professionals are committed to treating our patients with state-of-the-art dental treatments and compassionate care in a comfortable, relaxed environment. We want our patients to be informed decision makers and understand the health issues they may face. To provide comprehensive patient education, we have developed our website to include detailed information on a wide range of topics. You can find information about each dentist in our practice and our dental treatments, including dental implants, cosmetic dentistry and specialty dentistry. Awesome staff. Explained what they were doing and then at the end sat down with me and talked about cost based on my specific insurance provider. The dentist is never really fun but I am glad I choose this place for sure! Great customer service, gentle, and explained everything along the way! I'll start by saying that I don't post many reviews, especially for dentists but this review is warranted. Up to about a month ago, I hadn't been to the dentist in a few years. Despite this, CitiDental couldn't have been more accommodating. During my initial cleaning/consultation and subsequent follow-ups, I've dealt primarily with Dr. Hwang, Dental Hygienist Nisrine and Dental Hygienist Kelly. I'm not sure you could find a more welcoming and accommodating group of people in Boston. Not only did they take the time to explain what they were going to do beforehand and allay any concerns I had (not a big needle guy), they continually asked how I was doing while performing work. Kelly even had a minor fender-bender right before my appointment and was still one of the most pleasant people I've ever chatted with! Lastly, the work performed was necessary and well-explained. There was absolutely no pressure to have any work done that wasn't needed. The front desk staff are also very courteous and efficient. I really can't say enough about CITIDental Brookline and the aforementioned staff. If you're looking for a dentist, I highly recommend Dr. Hwang and her team at CITIDental Brookline. Great visit - quick, to the point answered all of my questions!